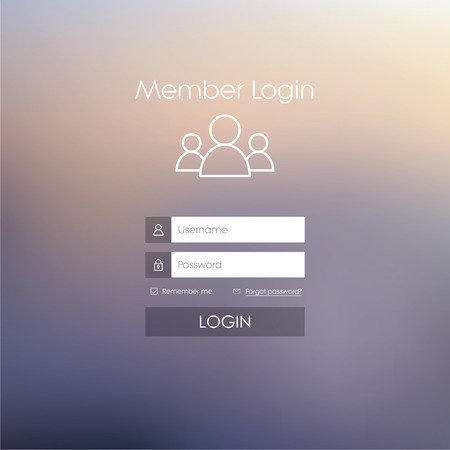 Login form menu with simple line icons. Blurred background. Website element for your web design.